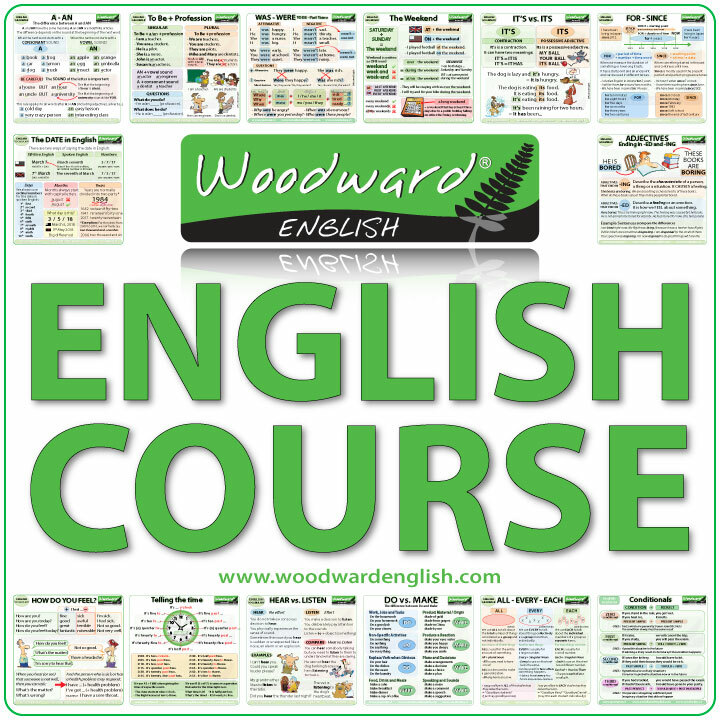 At Woodward English on Twitter we have an “English Word of the Day” to help you improve your vocabulary with a new word every day from Monday to Sunday. We also include an example of that new word in a sentence so you can see it in context. How can you use the English word of the day to help you learn? The most important thing about learning vocabulary is to USE the new word. It is best to learn words in context or associated with something and not just reading long lists of words (which is boring and doesn’t help you very much). That is why we have created 7 Tips to help you learn the new word of the day. After you have read the word and understood its meaning, use that new word in your own sentence. It is best to try and create a sentence that has some type of relationship or connection with your life. Look for the different ways (grammatical forms) the word can appear. For example if the word to suspect (a verb) is given to you, you can look for its noun form (suspicion), its adjective form (suspicious) etc. Suspect can also be a noun (a suspect). Remember that not all words have all grammatical forms. It pays to have a good English dictionary to help you with this. Once you have the different forms of the new word, you can then try and make a sentence with each one. Try and associate the word with other things (like a mind map). Not only will it help you remember the new word but it will also increase your knowledge (vocabulary) of other things associated with the word. Write the new word and its meaning (and maybe an example too) in a small notepad that you can carry with you and read whenever you have a spare moment (or some people keep them in their smartphone). This can be read while you are sitting on a bus, on the underground/subway, or while you are in a waiting room. This will help you see the words more than once and will help them stick in your mind. Make little cards with each new word on one side and the meaning of that word on the other side. Put them on the ground and if the meaning is face up, then try and think of the word. If the word appears face up, then think of its meaning. When you start to have a lot of cards you can shuffle them and randomly pick out 10 or so every day. Type the word in a search engine (such as Google) and write down 7 different sentences that contain an example of that word. This way you will see the word in context and maybe other vocabulary associated with it. For better results, look for one sentence every day over 7 different days. Don’t just learn or practice a word one day and then forget about it. You may think you have learned the word (since you have just been using it) but if you try to remember/use the new word a couple of weeks later, you may find it difficult. To really remember a word you need to reuse that word over and over before it sticks in your long-term memory. There is a saying in English “Use it or lose it.” Basically this means if you don’t use (or practice) something you have learned, you will eventually forget how to use it properly. I hope these tips have helped. See you at our English Word of the Day on Twitter. This is terribly complicated for someone who is learning English. If you can read the post, you already have a good vocabulary. This is not aimed at basic students. It was written more for students at a lower intermediate to advanced level who should be able to understand this article. Sometimes they feel like they are in a rut or that their level has plateaued so these are tips for them to improve their vocabulary. I also had exam students in mind (IELTS, FCE and TOEFL) as a way for them to extend their vocabulary range. You will also notice that the vocabulary we include in our English Word of the Day on Twitter is (generally) not so basic either. I need learn english to undertand more sentence. And I need learn english to speak everyday. Remember, you will improve a lot when you start to USE English as much as possible. I can speak in English it’s just that I keep finding the meaning of the words again and again using the dictionary. It’s not possble to try to learn the word you learn in your valbaculary. When I learn new words and put in in your own words it still does make sence. E.g I have distiguish sweet colours wish is wrong. It mean differnt. So you need to know how to use it and does it make sence. How to use noun,adjective nd verbs. I get confusted cus some can be 2 or 3 nd they hv the same noun ajective or verbs. i know about english but m not expert plz helf what i do? im so happy ,that i have this side to improve my english . This is a very good side for learning english.